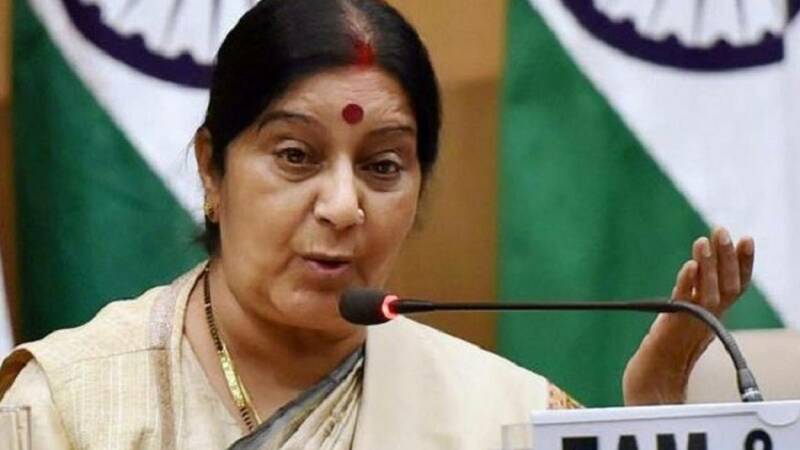 New Delhi : India on Monday stepped up the heat on the Kulbhushan Jadhav issue, with External Affairs Minister Sushma Swaraj complaining that Pakistan was yet to give a visa to his mother to meet the Indian national sentenced to death for alleged spying. In a series of tweets, the minister said Aziz, Pakistan Prime Minister Nawaz Sharif's Foreign Affairs Advisor, should not hesitate to write a recommendation for Pakistanis seeking medical treatment in India. The remarks come amid media reports in Pakistan that the Indian Embassy in Islamabad had rejected the medical visa application of a 25-year-old Pakistani tumor patient who was to travel to India for treatment. "I have my sympathies for all Pakistan nationals seeking a medical visa for their treatment in India," Sushma Swaraj tweeted. Jadhav was said to have been arrested from Pakistan's restive Balochistan province on March 3, 2016. Pakistan claimed that he was involved in spying and terror activities in Balochistan, a charge rejected by India. He was convicted in April by a Pakistani military court and sentenced to death.